During the course of his 37-year career with E. I. DuPont de Nemours Co., C. James Erickson, P.E. broke new ground in the application of engineering. He was among the first to recognize the utility of using variable-resistance alloys in series-resistance heating cables, applying them successfully in DuPont plants in the early 1970s. Originally designed as a way to make the cables somewhat self-protecting, the concept was later adapted by Mr. Erickson, and patented for use as a temperature sensor. He was a consultant for the joule heated glass melters developed for encapsulation of radioactive wastes at the Department of Energy's Savannah River Plant. And his empirical equations for the design of line-frequency heating coils for pipelines and vessels are still in use. Mr. Erickson, who joined the Central Engineering Department of DuPont in 1953, retired in 1990 as the company's principal consultant for lighting systems, electric process heating and large rotating equipment. In addition to helping plants with problems in those areas, he trained young engineers and developed company standards. A native of New Kensington, Pennsylvania, C. James Erickson was born on 21 January 1926. He received a B.S. in Electrical Engineering from the Carnegie Institute of Technology in 1950 and an M.S. from the University of Delaware in 1961. During the Second World War, he served in the U.S. Army Infantry in Germany and was with the U.S. Army Corps of Engineers in Korea from 1950 to 1953. Long active in the IEEE, Mr. Erickson has been Chairman of the Delaware Bay Section and Chairman of the working group that developed the initial IEEE Standard 844-1986 "Recommended Practice for Electrical Impedance, Induction, and Skin Effect Heating of Pipelines and Vessels." He helped ensure the addition of those items to the 1981 National Electrical Code (NEC). Author of the Handbook of Electrical Heating for Industry (IEEE Press 1995), he has edited chapters on Electrical Engineering and Heat Tracing of Piping for two other handbooks. 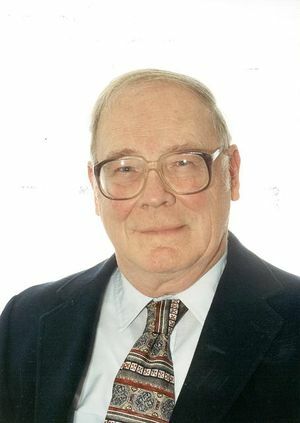 A Life Fellow of the IEEE, Mr. Erickson received the 1995 IAS Outstanding Achievement Award and the IEEE Medal for Engineering Excellence in 1998.